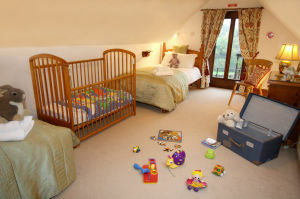 Haybarn’s twin bedroom, great for children. The Greyhound in Warslow has a small children’s play area. Ashbourne has large park with good play equipment. Parents are advised that there is a pond in the owner’s private enclosed garden. You are most welcome to bring your own bikes, we have a shed to store them in. 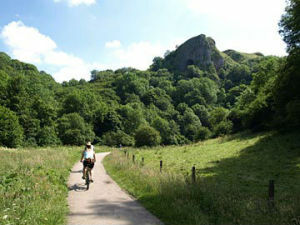 If you do not want to bring your own bikes we have some that you may borrow (adult bikes only). There are also cycling helmets and tools that you may borrow. We also have a drying cupboard if you get wet! In the cottage there are books and pamphlets about local cycle routes. 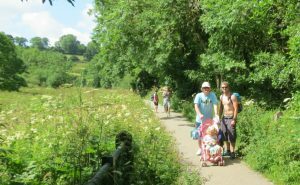 There’s lots of walking straight from your door – easy strolls for the less able and long distance trails for our more adventurous visitors! Each cottage has lots of information, books, maps etc and Chris & Liz are always available with suggestions.